WILKES-BARRE (WNEP) -- The man accused of shooting at police in Luzerne County has been found guilty. 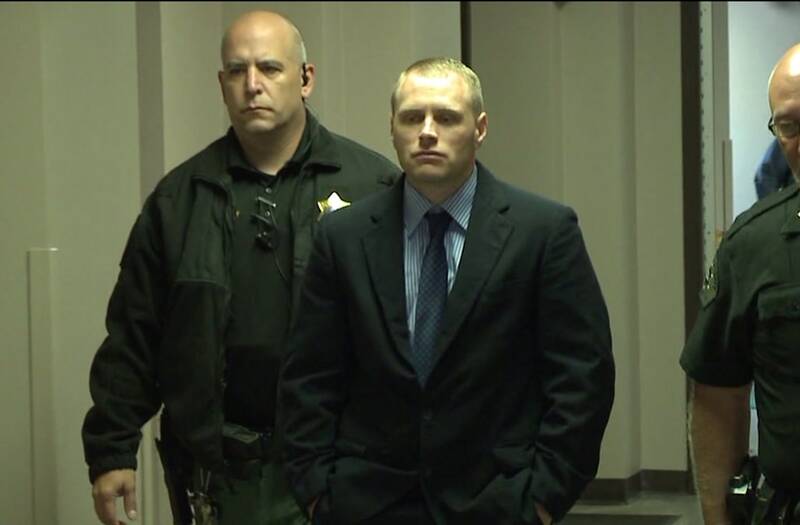 A jury found Scott Sargent guilty on most charges, including the most serious: attempted murder. Sargent was on trial for an incident in a Walmart parking lot near Wilkes-Barre back in 2015. Sargent testified Thursday that he thought two people followed him to the lot, so he fired two warning shots. He kept firing when his vehicle was struck by bullets, not realizing it was police. Sargent told the jury he didn't mean to hurt anyone. Jurors began deliberations around 1:30 p.m. Friday. A Pennsylvania man was found guilty on almost all charges, including attempted murder after he opened fire on police in a Walmart parking lot. After all the arguments, it was up to the jurors to decide what would happen to the Schuylkill County man who opened fire on police in a Walmart parking lot in 2015. The defense did their best to discredit witnesses and say that Sargent did not mean to injure anyone, arguing he did not mean to hit officers even though he had the chance saying he "did not intend to injure police." Prosecutors painted Sargent as an active shooter, saying "he fired a series of shots against police before they returned fire." No officer was injured in the shooting. Prosecutors say Sargent knew he was shooting at police because officers were in full uniform and using marked police cars. Assistant District Attorney Jarrett Ferentino called the officers heroes under fire. Wilkes-Barre Township Officer Alan Gribble was one of the first to reach Sargent and take him down. The defense argued Gribble wasn't shot because Sargent realized he was police. Prosecutors said Sargent "didn't shoot Officer Gribble because Officer Gribble was quicker on the draw." Sargent will be sentenced at a later date.